Kelly Ravin's 2013 solo record, Leathered, Weathered, Worn & Wiser, lived up to its title. The album was a sparse affair whose fraying seams and blemishes lent Ravin's writing a weary, lived-in gravitas. Rawness was felt keenly in every languid line coaxed from his reverb-washed guitar and each cutting lyric delivered in that expressive, honeyed rasp. There was indeed a hard-earned wisdom embedded in Ravin's observations on ruined days born of wasted nights, and the empty bottles that so often accompany broken hearts. Leathered was stark but beautiful. It also represented an artistic maturation for Ravin. On his latest solo effort, County Tracks, the Waylon Speed co-front man and guitarist continues that winding ascent, though he chooses a markedly different path this time around. Where Leathered was fragile and unadorned, County Tracks is a muscular work whose arrangements gleam like polished chrome. From subtle shifts in tempo in and out of transitions to perfectly placed, ornamental guitar licks to the dynamic deployment of those golden pipes, every thoughtful twist and turn of Ravin's latest is immaculately executed. It's doubly impressive given that he plays and sings every note on the record. If Leathered was a broken levee of emotion, the new record is built to withstand the storm. That's not to say the album lacks soul. On the contrary, it might actually be more affecting than its predecessor. The difference is that Ravin is more careful in his exposition. Using guile and craftsmanship, he keeps his heart sewn to his sleeve. Previously he might have just torn it off. On the opening title track, Ravin crafts a sinister tale of desperation and backwoods isolation. Swampy guitars swirl ominously around his open-throated howl. "Losing Fight" is a rambunctious honky-tonk tune whose cheeky wordplay and chicken-picked riffs give way to a gorgeous, half-tempo hook. "Tucson" is a clever riff on mortality and a biting commentary on small-town talk. Ravin's lyrical sharpness is sly, and couched in a ringing, alt-country jangle that recalls late-era Whiskeytown. "Blind Date" is a loping country ditty that recounts a "blind date from hell" with equal measures of empathy and wry barstool wisdom. As County Tracks makes the rounds, it's likely that reviewers will note a resemblance between Ravin and the recent output of the similarly dusky-voiced Jason Isbell. "Ride Along" makes for the easiest comparison, though it probably owes more to Steve Earle's Copperhead Road. The album closes on "Being Good," a poignant and affectionately spun yarn about a good-hearted fuckup. The song could almost be a postscript about the troubled narrator on Leathered. "He's gonna make it right / They all misunderstood," sings Ravin. Then, "Cuz nobody sees him when he's being good." 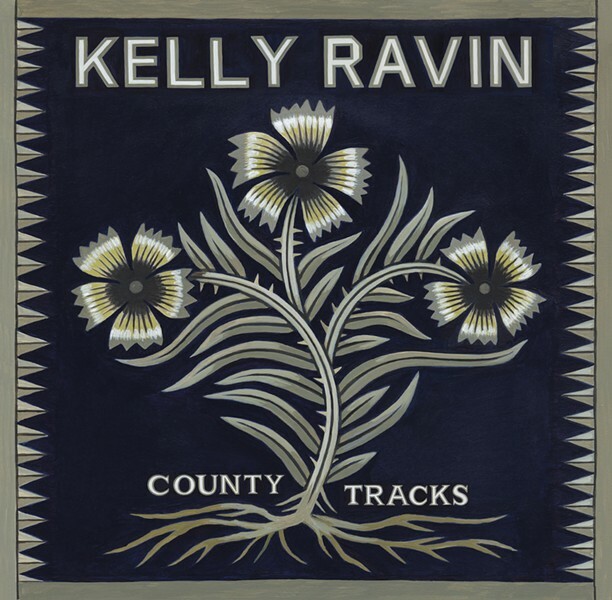 County Tracks by Kelly Ravin is available at iTunes and other online outlets. Ravin plays Sweet Melissa's in Montpelier every Monday.